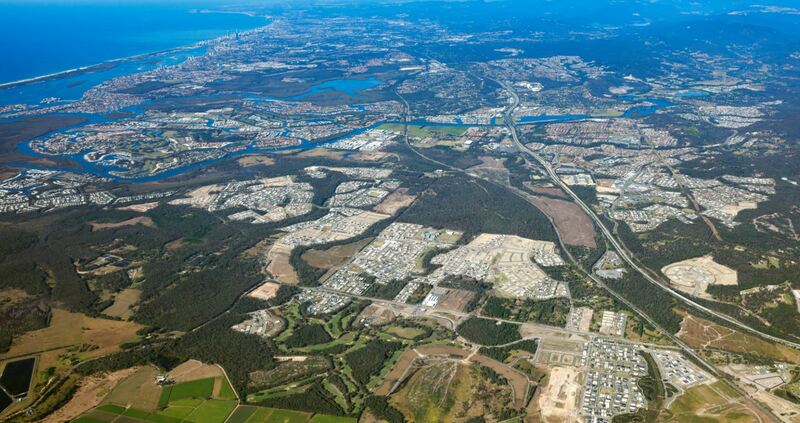 Pimpama, a suburb on the northern end of the Gold Coast, has been pinpointed as the nation’s fastest growing housing market based on its performance during 2015/16, according to the Housing Industry Association’s latest Population & Residential Building Hotspots 2017 report. In second place was Sydney’s Cobbitty-Leppington area, followed by Palmerston-South in the Northern Territory. HIA economist Shane Garrett said the report showed residential building activity in Queensland was spread out across the state, rather than just within Brisbane. Of the 20 Queensland suburbs that made the overall national list of hot spots, five of them were on the Gold Coast, including Coomera, Hope Island, Upper Coomera-Willowvale and Surfers Paradise. “It’s possible strong performers like the Gold Coast were partly helped by the fact there’s been a lot of downsizing going on by people in Sydney and Melbourne who are moving to this area of Queensland,” he said. Pimpama, sitting midway between Brisbane and Surfers Paradise, saw its population grow at a rate of 35 per cent during 2015/16.